Charles murder is currently being investigated by a Chilean judge. Funds are urgently needed to support the legal process of getting evidence and testimony to the court, so the guilty can be brought to justice and the truth known. 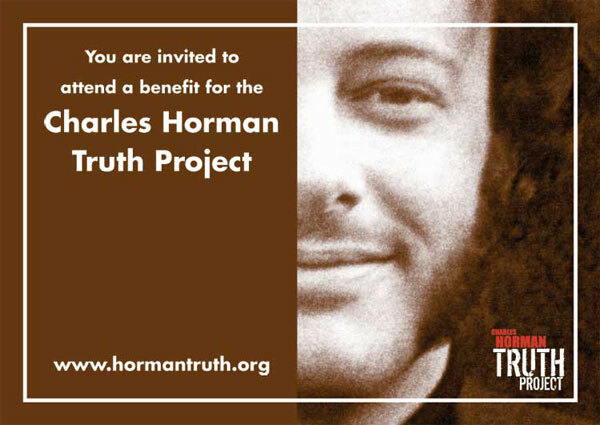 JOYCE HORMAN, Charles widow, will update us on the Chilean investigation, and describe the work of the Charles Horman Truth Project.